One 18 karat white gold rondelle necklce. Sixty-four round brilliant cut diamond (0.88 carats: SI clarity: G-H colour). 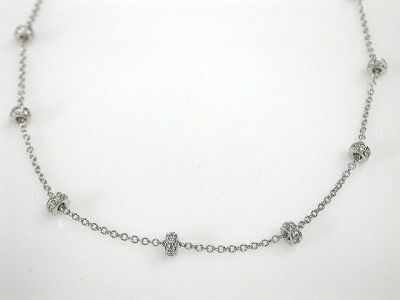 The necklace has eight rondelles, each set with eight diamonds.